At Uptown Chrysler Dodge Jeep Ram, you'll find incredible options for getting a great new Ram lease in Slinger, Wisconsin. Not sure if a Ram lease is the best choice for you? Before making your final decision and moving forward with one of our premium auto leases, ask yourself the following questions; Do you prefer a lower down payment and lower monthly car payments? Do you love the idea of getting to trade in your car for a newer, pricier model every few years? Do you tend to put a minimal amount of wear and tear of your vehicles, and drive fewer than 12K miles a year? If you find yourself nodding "yes" while reading through these questions, chances are a car lease is the right option for you. If, on the other hand, your responses are leaning towards "no, not really," and you'd rather own your vehicle outright, one of our auto loan or Ram financing solutions is most likely a better fit. Get in touch with one of our finance experts to create a personalized plan for your budget and needs. 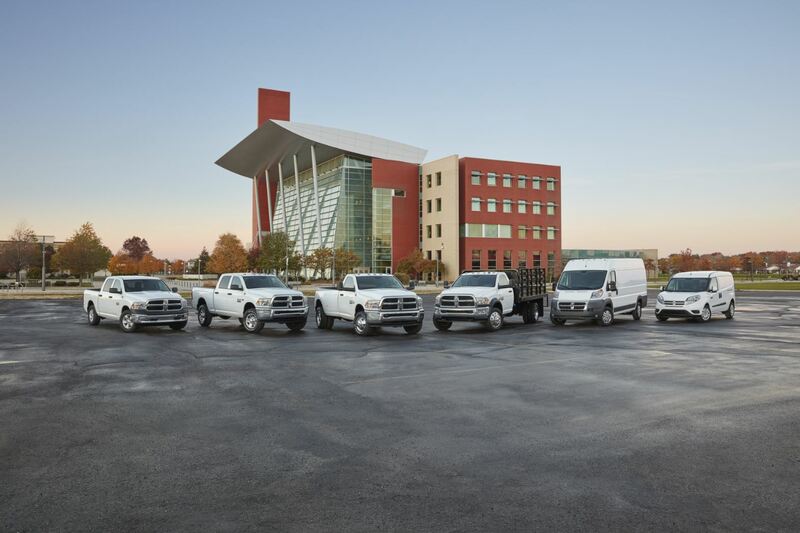 Whether you're looking to get into a new Ram 1500, 2500, or 3500 truck, or you envision yourself at the steering wheel of a new Ram ProMaster cargo van, we have options for you here at Uptown Chrysler Dodge Jeep Ram. What do you get when you combine the allure of rugged good looks and the confidence of dependable and powerful performance? You get the Ram truck and van lineup. Ideal for helping you make headway at the construction site in Slinger, WI, yet versatile enough to keep you well taken care of out on the open road during deliveries and pickups, our Ram truck and van models do it all. And no matter your style preference of Ram truck or van, one of our topnotch Ram leases in Slinger, WI is guaranteed to be the perfect fit. Schedule a test drive to experience the power and design of a Ram vehicle. In addition to our quality Ram leases in Slinger, WI, our finance department also offers a number of excellent ways to get the keys to a new Ram truck or van. No matter your credit, our car financing professionals are committed to helping you secure the low auto loan rate or auto finance solution that makes sense for you. And because we treat every customer according to his or her individual budget and car-buying goals, you'll never encounter a one-size-fits-all approach here at Uptown Chrysler Dodge Jeep Ram. Want to trade in your car and pair up with one of our Ram financing solutions? Ready to learn more about our outstanding Ram lease opportunities in Slinger, WI? Do yourself a favor and give our finance department a call now.